The built-in LCD monitor on the BMCC is a 5″ monitor with a resolution of 800 x 480 – that’s a 1.67 aspect ratio at roughly 187 ppi. It’s nowhere near the resolution of an HD monitor or DSLR LCD, let alone 2K, but it’s not that bad either. Since BMD has announced plans to have the waveform and vectorscopes in camera, along with the zebra and focus peaking features, I think for the cash-strapped filmmaker a 5″ LCD monitor is a god-send. Furthermore, the BMCC records RAW, which does not have a color space or chroma sub-sampling applied to it. One can definitely expect a few viewing LUTs down the line, but I don’t think it can be used as a serious monitor for color evaluation. This is the connection most used for professional monitoring. As you may have noticed, it cannot display the full 12-bit 2.5K RAW image – but this situation is prevalent in all cameras that shoot RAW, so it isn’t an issue. 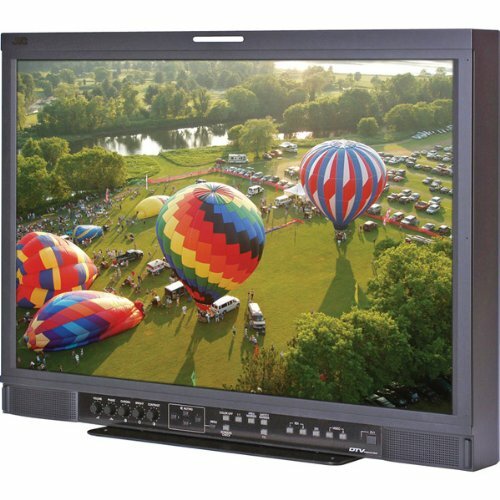 This monitor accepts the HD-SDI feed directly and has a resolution of 1024 x 768 with a brightness of 650 nits. You will need to connect this monitor to the camera body, but we’ll deal with it later. You’ll need LCD hoods. I recommend getting them from the same manufacturer for a perfect fit. With monitors like these, you’ll also need long cables that are of excellent quality. You can’t afford signal loss over 10 to 50 feet. Large external monitors need hoods and accessories too, so make sure you understand what you’re getting into before committing. Rigging large professional grade monitors is an art unto itself, and is outside the scope of this article. The BMCC comes with Media Express 3, a free software that runs on Windows 7, Mac OSX and Linux. 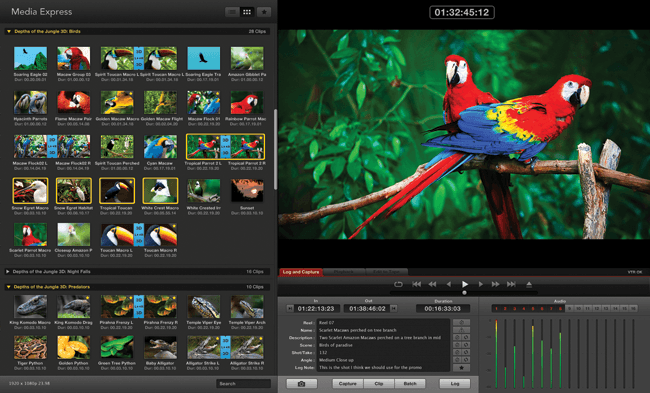 Media Express supports real-time capture and playback of 2.5K RAW, metadata, thumbnail view and clip bins, etc. You can also use Media Express to capture uncompressed HD, Prores and DNxHD. So, what exactly will you be recording? As we’ve seen earlier, if you’re recording 2.5K, the data rate is 150 MB/s at best. If you’re recording Prores or DNxHD, the data rate is 220 Mbps at best. Let’s look at these scenarios. For a typical 2 hour movie project, if the shooting ratio is 10:1, you’ll need 20 hours of footage. Obviously different productions have different requirements, so my suggestions are to give you an idea of the kind of stuff you’ll be lugging around to fulfill your filmmaking dream. The BMCC includes Ultrascope, a free software that includes every tool you’ll possibly need to monitor your video for quality and errors. The cool thing about this is that it uses the same thunderbolt port used by Media Express, and you can keep both programs open. 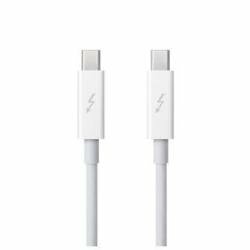 This is the advantage of thunderbolt – you can read two 2.5 streams simultaneously. Whether or not BMCC works this way is another matter altogether. When in shoulder mount or handheld mode, the operator needs a viewfinder to look at what he or she is shooting. The back of the LCD isn’t good enough, since your eye will be too close to it and can’t focus on it properly. Viewfinders come in two types: optical and electronic. Unfortunately, using an optical viewfinder means blocking the LCD touch screen, and losing quite a bit of functionality. I will definitely not recommend it. What I will strongly recommend instead, is an electronic viewfinder (EVF). The EVF has the advantage of being positioned in a different place – they don’t have to be fixed on the back of the camera LCD. This is helpful if you want an viewfinder in tripod-mode – a regular scenario in filmmaking and broadcasting. We’ll cover the mounts later. 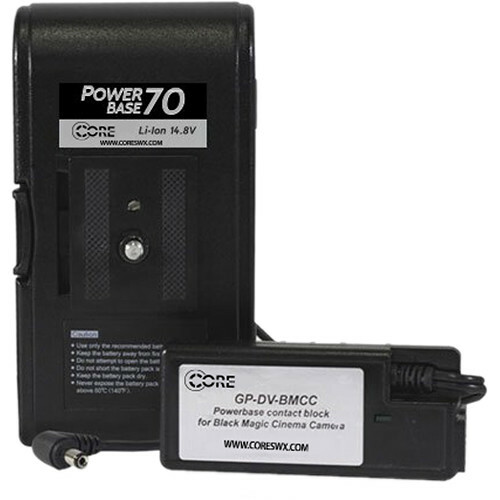 The BMCC comes with an in-built lithium-ion polymer rechargeable battery. It is rated to give 90 minutes, but BMCC haven’t mentioned whether this is standby time or recording time. The integrated battery takes 2 hours to charge, so it should be clear to anyone with some production experience that an alternate source of power is mandatory. The BMCC has a DC port rated to take 12-30V, which is great. The camera itself is rated at 18 Watts. The higher the voltage of your battery, the lesser the ampere draw required. Batteries usually rate ampere draw in mAh (milli ampere hours). How much mAh does the BMCC need? It depends on how long you want to run it on a particular day. I always plan for each battery to run for 4 hours, with intermittent recording and standby time. Two batteries will last for 8 hours and I usually carry a third for backup as well as for those occasions when we have a longer day. Don’t take the ‘power other devices on the rig’ too literally. It’s not always possible or practical. Different devices are made to run at different voltages, and having additional voltage regulators for each device is a real pain. The common thinking is: if I have one battery to power them all, isn’t that simple? Yes, only if they are all one voltage, and have similar electrical characteristics. In reality, it’s simpler to keep track of different batteries than troubleshooting electrical problems on set. Remember, a set is a place to tackle creative problems, not technical ones – create a system that is easy to fix and control, and you’ll be most productive. Doing things in a convoluted way might seem cheaper and smarter but you’re really shooting yourself in the foot. Having said that, if you are in control and can make it work, go for it. Just don’t dive into the deep end on stuff you don’t want to get into. I also am a firm believer of the battery being a device that balances load on a rig, especially if it is shoulder mounted. If your spine isn’t that valuable, no worries. If you are smart, you can spend a few days designing the perfect rig for your body type and save yourself years of pain and medical bills later. In a nutshell – simplicity, safety, convenience and weight over cost. A good battery system is a long-term investment. This supplies 4,800 mAh in total and can power three devices of 12 V each. On our rig it can take care of the camera, the external monitor and the electronic viewfinder. If the external monitor isn’t required, it can take care of the camera, viewfinder and SDI-HDMI converter, and so on. The Switronix BMCC kit claims 4x the battery life of the internal battery. That’s 6 hours of battery life for the camera. How so? The Switronix is rated at 14.8V, so the Ampere draw = 1,216 mA. The battery provides 4,800 mAh so that’s 4,800 mAh/1,216 = 4 hours, which is only 2.5x the internal battery. Which version is right? We’ll see. For our purposes I’ll assume the lower rating so we’re on the safe side. 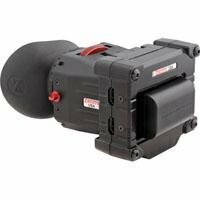 The Marshall monitor and Zacuto EVF has a total capacity of about 15 W at 12 V, which gives a combined ampere draw of 1,250 mA. Combined with the BMCC the current draw is about 2,500 mA. A 4,800 mAh battery will give us 2 hours of use. If you want 12 hours of use, you’ll need 6 of these batteries. Trying to go with cheaper batteries that advertise similar capacities as the more professional brands is not a good idea. Cheap batteries are like balloons. When full they let out air in full steam, so to speak. As the air gets lesser, the force gets lesser as well. Similarly, a cheap battery does not give us a 12V continuous voltage throughout the ampere hour range. Sometimes, cheap knockoffs only give 50% of their rated capacity. Personal recommendations from friends, peers or colleagues over numbers. What makes a battery system? Some battery manufacturers make direct converters from one voltage to another. If you have access to it, buy that instead of DIY solutions. This has been quite a long article, and I hope you appreciate why it had to be this long. In Part 6 we’ll look at baseplates, rods and cages. It’s time to put everything together. Hello, i got a blackmagic design pocket cinema camera Kit B&H photo video. I want to connect in a regular computer monitor, but, don’t work. Can you help me send some options? thank you i really appreciate.